Yes, you read it right: award-winning! 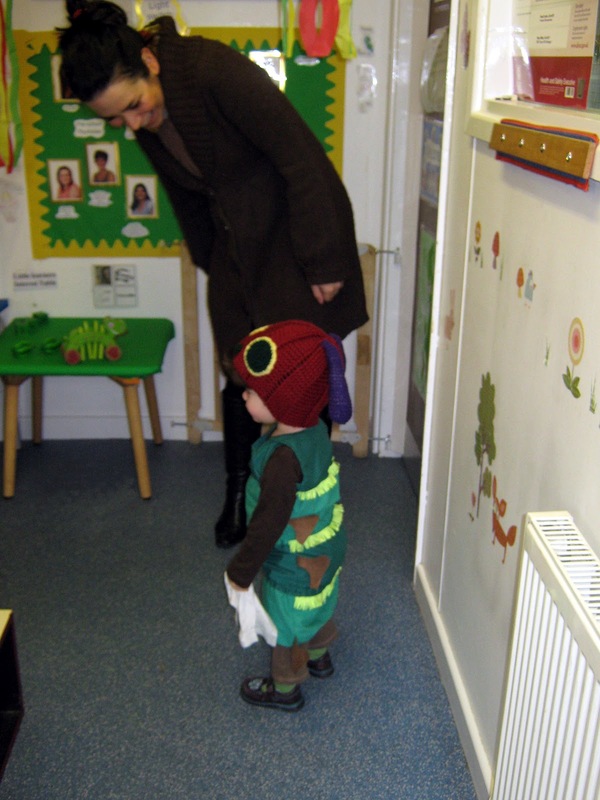 Indeed, today little monkey came back home from nursery with a fantastic new book for her collection, which she won for sporting the "best-in-show" book character costume, her new Very Hungry Caterpillar, in occasion of World Book Day...Ha! Mother's pride! Well, you may have noticed that I have been quiet in the last few days, cause a bad stomach bug that affected the whole family (happy days!) and the fact that I was furiously preparing the hungry caterpillar costume for today's event at little miss' nursery. 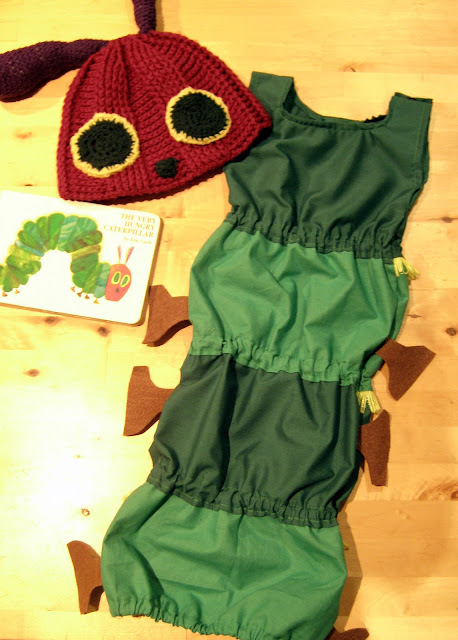 I searched on the Internet for patterns and ideas, and I have to say, not much came up...I even bought some furry fabric to make a Winnie the Pooh costume, until I came across the cutest newborn Eric Carle's Very Hungry Caterpillar hat and cocoon set by Sweet Love Creates. It blew me away! 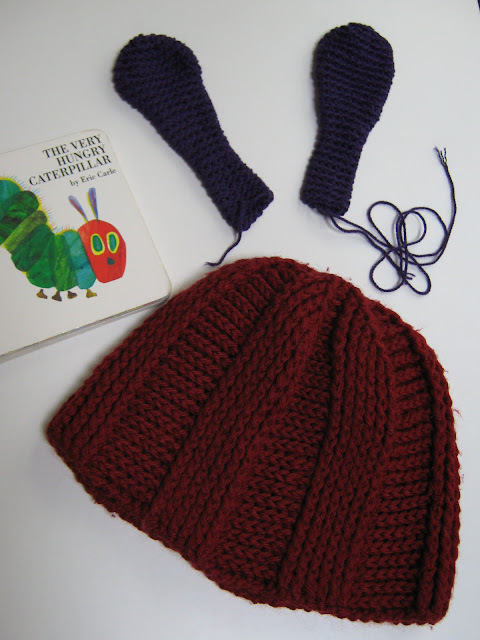 I ended up using a hat that had been lovingly knitted for me many years ago by a good university friend, who would now be delighted to know that her hat has now got a new life. You can use any beanie you may already have, or simply knit or crochet one. I then added a couple of antennae, which I crocheted not really following a pattern; same for the eyes and nose (but you can find similar Hungry Caterpillar hat crochet patterns on Etsy or elsewhere on the web). Now, given that little miss is a tiny bit bigger than a newborn, I couldn't use the super-cute cocoon idea, so I decided to sew the body of the little creature. This project was a first for me in many ways, including sewing a neckline, using elastic in a casing, and in general, sewing clothes for my baby. Scary! 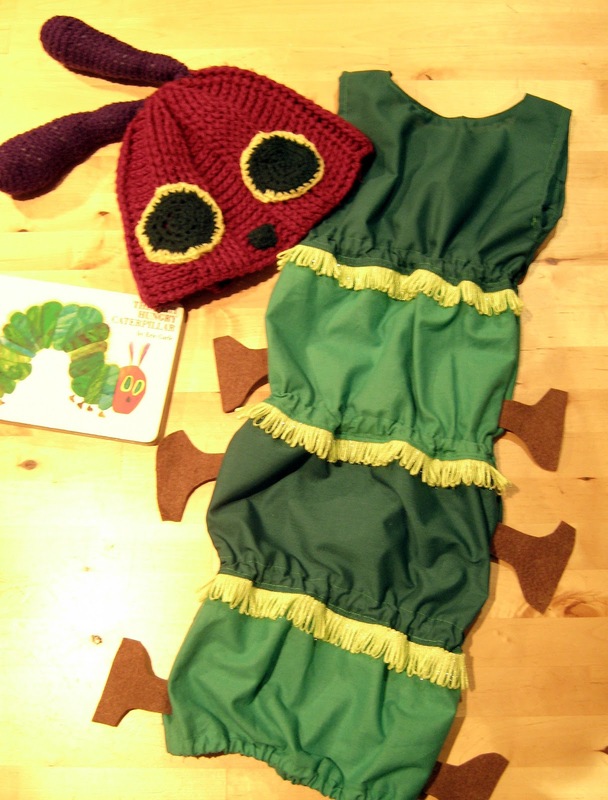 I used one of her body suits to design and measure the Very Hungry Caterpillar's body, a sort of long vest made alternating two different cotton greens, and I used elastic to create the effect of the caterpillar's body. I also found at the market a sparkly yellow ribbon that looks just like those little hairs the insect has on its back. I cut the caterpillar's legs out of some brown felt and stitched them in between the front and back of the body. In spite of the nasty bug, last night at midnight exactly, I stitched the last stitch...and this is the result. P.S. 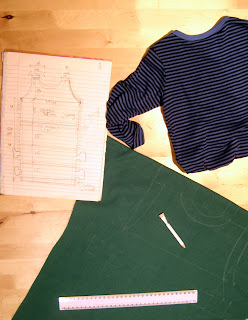 Since this post is quite popular, I am thinking of creating a pattern / tutorial should anyone find it useful??? Leave a comment if you do, and if there is enough interest, I'll spend sometime putting my two brain cells at work!!! 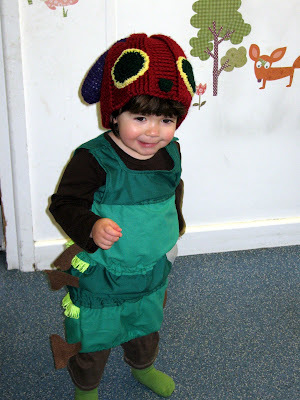 Hello I am trying to make the caterpillar costume for my sons play. I wanted to know if you threaded the elastic through first before attaching the two color them together? 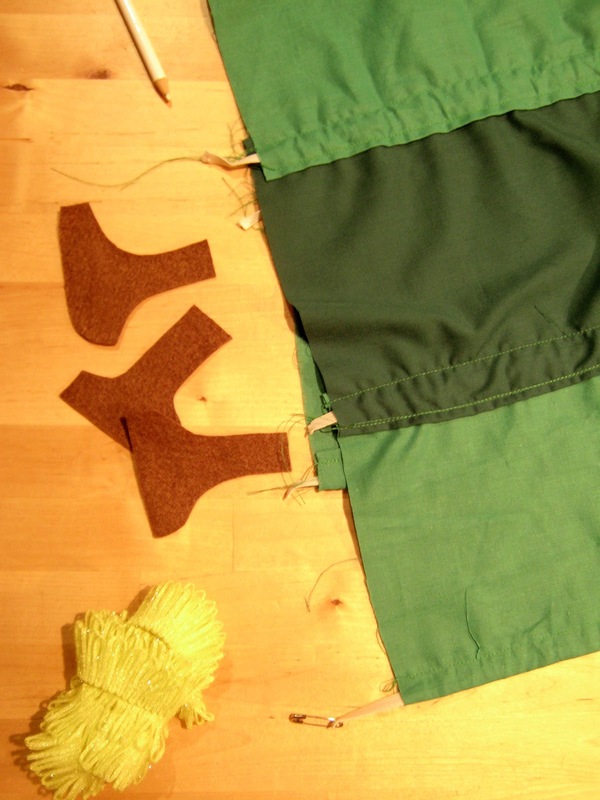 Hello Terria, I've created a casing for the elastic sewing together the two different greens (you can see it in one of the pictures, and you can Google "casing" to see how this is done) before putting the elastic in. Then I've pulled a little the elastic and fixed it with a few stitches. ThenI've sewn the back and front together. Does that make sense? I hope that is of some use. I would love to see your creation when you finished! Did you ever come up with a pattern/tutorial? A little too late, I assume? Sorry! Let me know if you still need it, perhaps for Halloween?! Hi, I too would like to make an adult sized version of this - I've got 2 weeks and all weekend -any advice? I'm sorry! I haven't worked on this or the blog in such a long time...maybe one day? !